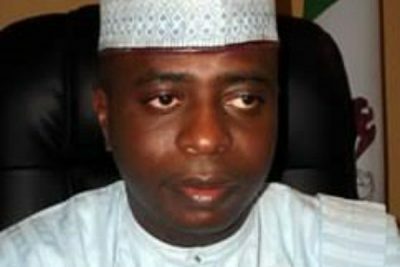 The Peoples Democratic Party (PDP) has refused to explain its position to Nigerians a week after its governorship candidate in Kwara State, Rasak Atunwa, was exposed for forging the National Youth Service Corps (NYSC) discharge certificate. The party’s national headquarters and its chapter in Kwara both continue to sidestep the scandal despite repeated attempts by PREMIUM TIMES to understand their position on whether Mr Atunwa would be passed to the Independent National Electoral Commission as the party’s governorship candidate. But PREMIUM TIMES has now learnt that Mr Atunwa has not been told to withdraw from the race or be dropped by the party, which has prompted him to intensify effort aimed at retaining his party ticket ahead of INEC submission deadline. 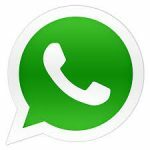 The electoral body has scheduled November 2 as the deadline for all parties to submit names of governorship and presidential candidates. The deadline for submission of state assemblies and National Assembly candidates lapsed on October 18. As part of his plots to escape being dropped as candidate, Mr Atunwa has already moved to present secondary school certificate as his highest qualification. Although the embattled politician has, for years, claimed to have obtained both bachelor’s and master’s degrees from two universities in the United Kingdom, he believes submitting only a high school certificate would extricate him from the NYSC Act that requires a university graduate to participate in a yearlong national service. Since 1973, every Nigerian who attends a university or polytechnic have been mandated by the NYSC law to participate in the national youth scheme for one year after graduation, provided the person finished before age 30. Failure to serve would prohibit such individual from employment in Nigeria, and making false claims about serving attracts up to 14 years in jail. Also, anyone who graduates before 30 but deliberately declines to serve has committed a crime that attracts 12-month imprisonment, even if the person did not forge NYSC documents. Only a person who obtained a degree after 30 or served in the military or won national honours medal qualifies for exemption certificate under the NYSC law. But even if Mr Atunwa presents his high school certificate, he would still run into legal troubles for committing perjury. He had sworn under oath at Kwara State High Court in Ilorin that he had university degrees and participated in NYSC between 1995 and 1996. The two universities he attended in England and his qualifications were also still available on his page at the National Assembly website as of 10:40 a.m. on October 29. The lawmaker submitted forged NYSC documents to the PDP despite two raging scandals involving two Nigerian ministers. 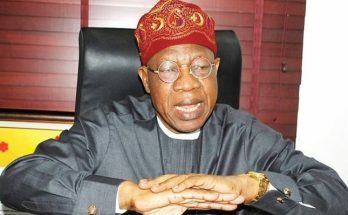 Kemi Adeosun, Nigeria’s finance minister, was forced to resign from office over the scandal, and communications minister, Bayo Shittu, was denied governorship nomination by the All Progressives Congress (APC) in Oyo State for failing to serve his fatherland upon graduation. Mr Atunwa, born on October 17, 1969, said he studied law at the University of East London, graduating in 1992 at age 23. Having earned a bachelor’s degree at 23, Mr Atunwa, going by Section 2 of the NYSC Act, should have participated in the year-long national service. But rather than present himself for national service, Mr. Atunwa stayed back in the United Kingdom, returning only in 2005 to join the cabinet of then Governor Bukola Saraki in Kwara State at the age of 36. Between 2005 and 2010 when he stepped down to run for office, the politician was commissioner at four different ministries: Land and Housing, Works and Transport, Information and Home Affairs and Finance. It was not immediately clear whether or not Mr Atunwa presented any NYSC document to authorities since 2005 when he was first appointed commissioner, 2011 when he became speaker of Kwara State House of Assembly and 2015 when he became member of the House of Representatives. But to secure the PDP governorship ticket on October 1, he submitted a counterfeit NYSC discharge certificate and accompanied it with an affidavit, indicating he lied on oath, an offence that attracts up to 14 years in jail. Mr Atunwa — who claimed he qualified for law practice in the United Kingdom after obtaining undergraduate and master’s degrees at separate universities in London — indicated in the nomination document he submitted at the PDP national secretariat in Abuja that he partook in the youth service scheme between 1995 and 1996. 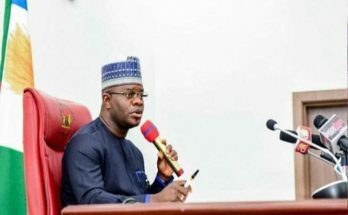 The lawmaker, who is chair of the House Committee on Justice, then accompanied it with a notarised affidavit sworn at the Kwara State High Court in Ilorin on September 10. The document was attached to his PDP expression of interest form. He signed the document despite a clause indicating he remained automatically disqualified as candidate if any statement or information he provided is found to be false, inaccurate, or mislead the party or its agents from making proper assessment of his competence to contest the governorship election under the platform of the PDP. For one, Mr Atunwa’s ‘certificate’ purportedly obtained in 1996 carried the signature of Walter Oki (brigadier general at the time). But Mr Oki was only made NYSC director-general in 2002. 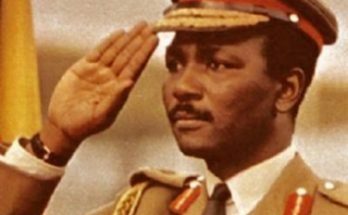 In 1996, Soyemi Sofoluwe (brigadier general) was director-general of the corps and signed all discharge and exemption certificates during the period. He was succeeded by S.M. Dule (brigadier general), who served as director-general between 1996 and 2000. To further crosscheck the authenticity of Mr Atunwa’s ‘certificate’, PREMIUM TIMES compared his with original ones that bore the basics of the document, especially those from foreign university graduates. Aisha Abubakar, the minister of state trade and industry, returned to Nigeria after concluding her masters in development studies at the University of Leeds. Her certificate is marked NYSC/LA/FRN/91/18170, indicating that she served in Lagos, after graduating from a foreign university. Khadija Bukar Ibrahim, the minister of state foreign affairs, also schooled abroad. She attended Roehampton Institute for Higher Education, affiliated with the University of Surrey and finished in 1989. She enlisted in the NYSC on October 2, 1990 and passed out on October 1, 1991. Her certificate is marked NYSC/LA/FRN/90/28750, indicating that she served in Lagos (LA) after graduating from a foreign university (FRN) in 1990. However, Mr. Atunwa’s certificate, rather than bear FRN or FORN (code for foreign graduates) has KWP (a code reserved for graduates of Kwara State Polytechnic) as identification mark. But the politician did not graduate from Kwara Polytechnic. He claimed he attended the University of East London for the first degree and the University of London for his master’s. “This is the most audacious forgery since PREMIUM TIMES began investigation into NYSC claims of senior government officials and politicians generally,” Liborous Oshoma, a Lagos-based legal practitioner, told PREMIUM TIMES last week. Despite being amongst the top voices that called for the resignation and prosecution of Ms Adeosun, whose NYSC forgery was exposed by PREMIUM TIMES in July, the PDP appears to be plotting to sweep a similar scandal involving its members under the carpet. Ken Asogwa, an Abuja-based lawyer and political commentator, said PDP’s failure to act on Mr Atunwa’s scandal further proves to Nigerians that the APC and PDP are not distinctly different as political parties. Many Nigerians cited corruption as a primary reason for voting the PDP out of power in 2015, after 16 years of being in control of Nigeria’s political centre. The party apologised for its transgressions earlier this year, saying it would do business differently if given another chance in 2019, especially on corruption. The party’s presidential candidate, Atiku Abubakar, has widely been seen as gaining steady momentum over incumbent Muhammadu Buhari ahead of general elections next February, but how it handles Mr Atunwa’s forgery would loom large on its chances at the poll, Mr Eluma Asogwa said. “The PDP has not learnt from anything from its unflattering past despite its apologies that it would not condone corruption if given another chance,” the lawyer said. “What does it take for a party that claims it would do things differently if voted into power to withdraw someone who forged certificate and apologise to Nigerians for its failure to detect the fraud before PREMIUM TIMES?